Saudi-led Arab Coalition Air Defense on Thursday shot down a drone aircraft belonging to the Houthis group (Ansar Allah) in the town of Sayoun in the eastern province of Hadhramout, the Saudi Arabian Al-Arabia TV said. The coalition spokesperson Turki al-Maliki :"The command of the joint forces of the coalition carried out on Wednesday a qualitative military operation to destroy two military targets two military legal targets." Residents said a house was also hit but there were no reports of casualties. 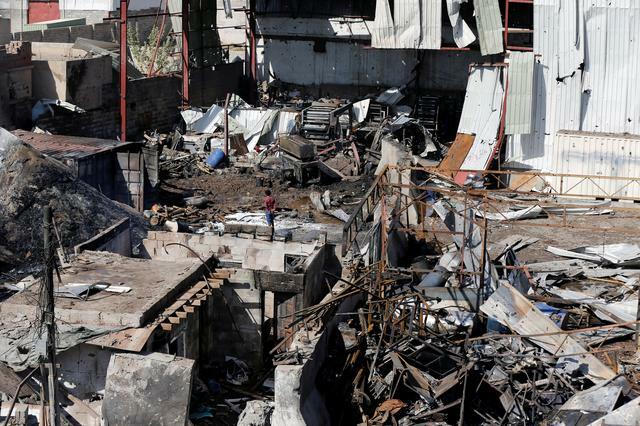 Houthi-run Al-Masirah TV reported "a fire broke out in a plastic factory east of Al-Thawra stadium in the capital Sanaa after three Saudi-led Coalition air raids".